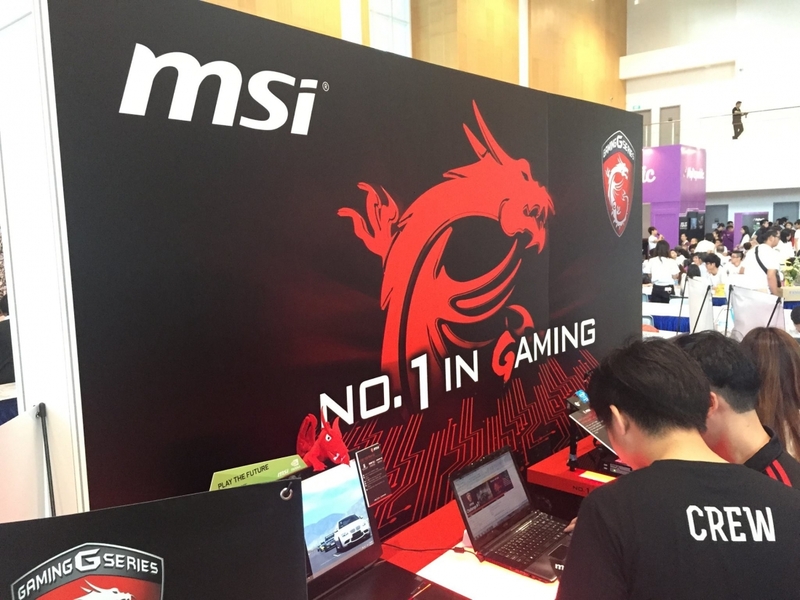 Back at CES 2016, MSI gave us the first look at their new gaming laptop, the GT72S Tobii, which includes an integrated Tobii eye tracking system and some top-end hardware. If you were interested in this particular laptop, it's gone on sale today exclusively through Newegg with a fairly substantial $2,599 price tag. For this price, you do get a collection of high-end components, including a quad-core Intel Core i7-6820HK CPU with clock speeds up to 3.6 GHz, an Nvidia GeForce GTX 980M GPU with 8 GB of frame buffer, 32 GB of DDR4 memory, a 256 GB solid state drive paired with a 1 TB hard drive, a Blu-ray burner, and a collection of ports that includes USB Type-C. The list of features doesn't stop there. On top of eye-tracking technology, which allows game characters to "react to your gaze, focus and attention" in supported titles, the GT72S also includes G-Sync variable refresh rate technology, which will enhance the gaming experience on this laptop's 17.3-inch 1080p display. There's also Killer networking and an RGB-backlit SteelSeries keyboard. As the Tech Report notes, the same version of this laptop without eye tracking costs $2,461, so you're essentially paying $138 for the extra tech. It therefore shouldn't surprise you to learn that Tobii sells standalone eye-tracking systems for $140, which, like the laptop, are compatible with games like Assassin's Creed Rogue and Tom Clancy's The Division. Speaking of The Division, the GT72S G Tobii will launch with a bundled copy of the game, which is set for release on March 8th. The laptop itself is currently out of stock on Newegg, but it should be available to back order with more stock to arrive soon.